The Longfield Hall Trust (LHT) has managed Longfield Hall as a community centre since 1992, and is developing plans to modernise and update the building to increase the number of groups and local people using our facilities. Built in 1889, the Hall is Grade 2 listed, but now needs major investment to make it fit for the next 125 years. Over 500 people use the hall every week. 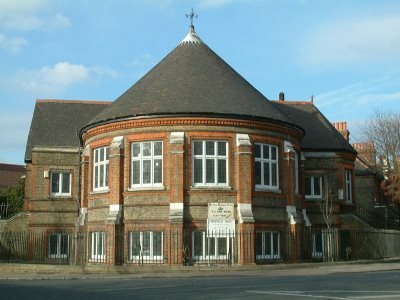 Currently, the Hall has 14 regular weekly users of the hall: four churches on Sundays; a dance school on weekdays and all-day Saturday; a pre-school on every weekday in term time; South London & Maudsley which uses the hall for a weekly drama therapy group; a community choir; a Keep Fit group; a Capoeira group; a yoga group and two pilates groups. The hall is also used as a rehearsal and performance space by Glasshouse Theatre and for for public meetings, weddings and other rites of passage. LHT has developed a five year business plan to enhance and increase community use of the hall. The business plan also calls for a substantial (£2.5m) capital spend. The big change the Friends envisage is moving the hall from a volunteer-only organisation to a professionally-run outfit. One significant change is that the Friends will start bidding for project funding and commissioning users of the hall to deliver these projects and the outcomes the funders want. 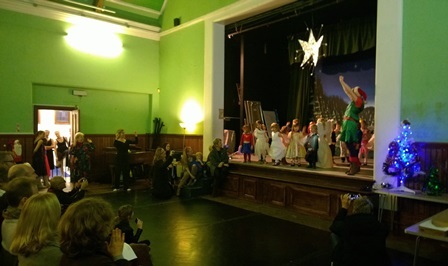 In November 2013 we were awarded £9,870 in pre-feasibility funding from the Social Investment Business (SIB) to investigate several fundamental problems with the building (pillars in the lower hall, no wheel-chair access, and how the hall could be reconfigured to increase its capacity as a performance space). We expect our architects, following the pre-feasibility work, to produce three, costed, plans for the enhancement of the hall. We will consult widely with the local community on these plans, before selecting the concepts and ideas which will take forward to feasibility. We intend to apply to the SIB for feasibility funding in 2014 to develop this plan into a final plan which we can present to funders in 2015. A non proﬁt making, parent run , community pre school for 2 1/2 to 5 year olds. Inspected by OFSTED early years. French, dance, computer classes, cooking, music and lots of art making and play. No special events at present. DO YOU HAVE AN EVENT IN MIND ? DID YOU KNOW THAT LONGFIELD HALL IS AVAILABLE TO HIRE ? with a stage, dance ﬂoor, kitchen and other facilities, Longﬁeld Hall is suitable for functions, meetings, events, wedding receptions, parties, shows etc.